To scan a document into notes. You will open up the note. Go to the plus button down the bottom, and it will pull a menu where you can scan documents. When you hit that, your camera will be activated and try to line up on the document that you’ve got when it’s in the right position, it will have a yellow box to highlight it. Take a photo of the image and what it does it scans it in and puts it straight into notes. Then you go to the “Share” button on the top right side and tap that, and what that does is to open up the menu which enables you to choose markup. So once you tap that scroll across in the bottom hit markup. Choose the pen that you want or the color that you want you can sign in the document. When you’ve done that, hit done and then go to the share button again and you can go create PDF. This will now convert it to a PDF, and then the bottom you can share again and you can share it to email. So adding email address it will attach the document has been signed into the email address. Once it has sent, you then have the ability to either leave it inside to your notes or save to your files. To search for things in Notes it’s relatively simple. Go to Notes and pull the window down and there’s a search bar at the top. Whatever you type in there will be searched for within all your Notes. So I just typed in the word dog, and it’s searching my handwriting as well. And you’ll notice this document I come down, there’s the word dog there that it searched. The handwriting does have to be relatively legible but it will search that as well, as well as every other word ‘dog’ mentioned inside Notes. So that is quite a handy way of searching for things. The other way can search is to go down to the bottom left-hand side where four squares are and this will search through all your attachments across all your Notes as well as your audio files, your documents you have inserted and websites. If you find a video of something that you like, if you just hold your finger on it, it will say open or showing Notes. If you open it will play directly from there. If you go show in Notes, it will take you to the Notes. Then you hit play, it will run normally as a video inside your Notes. So two ways of searching, easily finding anything that you’ve got in Notes. Very very handy. You can search handwriting, text and attachments, including audio and video in Apple Notes. To save your Notes to your files, open up a Note inside your Notes. Go to share button on top. Scroll across to the right-hand side until you get to save the files. Click on that it bring up all your files that you have. Choose the one that you want to go to tap “Add” and the file is saved. To cut and paste from Notes into Pages, just open up Pages or the app you’re working in. Bring keyboard down, swipe up the bottom. Open up the Notes and drag and drop so you can multitask. Select what you want to do in your Notes. Let’s just grab a chunk here. Go copy. Go across to here. Hold your finger down and it just cuts and pastes. To drag and drop from one app into Notes, let’s say Safari, open up Safari find a website that we like. Once again swipe up from the bottom. Hold down Notes drop in there. Let’s grab this note here and go down to the bottom we just grab, highlight, tap and hold the website you can drop it there. Then drop again for us and actually load up an image of the site. The other thing we can do is come across to here we can highlight the bits that you like, inside this app and we can just drag it and go to a lighter box like that, we can come across and we can drop it straight into Notes like that. With mobile phones and many cameras now being able to shoot video in 4K, should you jump in and join the crowd? The quality is much crisper, but is it always better to shoot in this resolution? 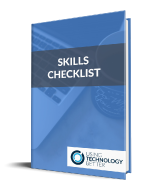 The answer comes down to what you are wanting to do with the vision and how you are going to edit and manage the files. To set the scene, I am using an iPhone 7 Plus and Final Cut ProX (FCPX). Before we jump into the discussion, let’s look at what 4K actually is. 4K has been out for quite a few years now, but is now starting to be mentioned more in advertising for TV’s and cameras. The format has 4000 pixels horizontal resolution, meaning that there is much higher definition, and more than four times higher image definition than 1080p resolution. The standard 1080p and 720p resolutions were named because of their respective vertical resolution. With the higher definition comes the need for more memory and different compression. Also, depending on your device that you are recording on, the frame rate may be different the higher the resolution you use. 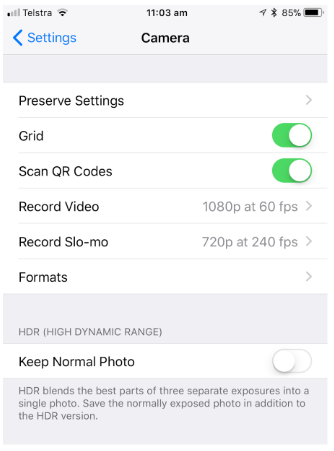 You may be able to shoot at 60 frames per second (fps) at 4K (for the newer model iPhones) but most handle 25 fps or 30 fps. The more frames per second, the smoother the movements will be. Having used 30 fps in some recent filming, I have found that this was fine for the situation I was filming for. If I had fast action, then I may have found it a bit jumpy. 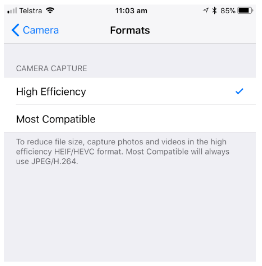 iOS11 has a new method for compressing 4K video, which takes up less space. This is called HEIF/HEVC, and at this stage the codec that is used may not be compatible with your editing software. You are able to shoot in 4K, but then you need to apply a work-around to be able to edit it in FCPX. Shoot the video on your iPhone in 4K. Import it into Photo’s from your iPhone. Export the file from Photo’s. Import the file into FCPX. When the new codecs are released for FCPX, you will be able to import directly from your iPhone, which will save time and the duplication of files. If you are importing from a camera, you may be able to import directly into FCPX. Be aware that your processor on your computer will work harder to edit 4K video. So why would you shoot in 4K if it has larger files, the frame rate is slower, you may not be able to import and edit easily and people may not have a device capable of viewing 4K video? I will give you one good reason that relies on the final product being exported in 1080p, which is probably a high enough definition for most of us. Cropping – if you export in 1080p, then you can crop your 4K shots, pan across your shots and mimic having a second camera when doing a cut away. 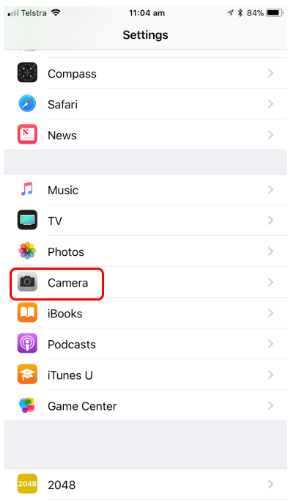 This means you can set up your iPhone with a long shot, of say a panel of people, and cut and crop, zooming in on each one as if you have set up a multi camera shoot. The ability to pan across a shot using key frames produces a great effect, without loss of quality. If you are going to export in 4K you aren’t able to do this to the same degree, but your final quality will be fabulous when viewed on an appropriate device. Remember, your final file size will be larger and if you are backing up each step of the way, you will need more HDD space. As long as you think about what the final product is needed for, the techniques that you are going to use, the memory you have available and your processing capacity, you should be able to make a decision about what format to shoot in. For the majority of what I do I shoot in 1080p, using 4K for the special shots and circumstances I find myself in. 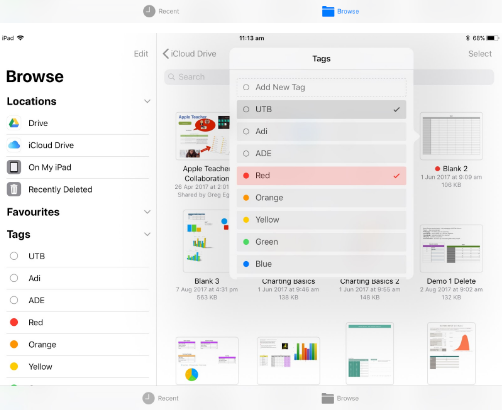 The functionality of Apple Notes has been improved and it is now a great tool that integrates seamlessly with all the other native Apple apps. 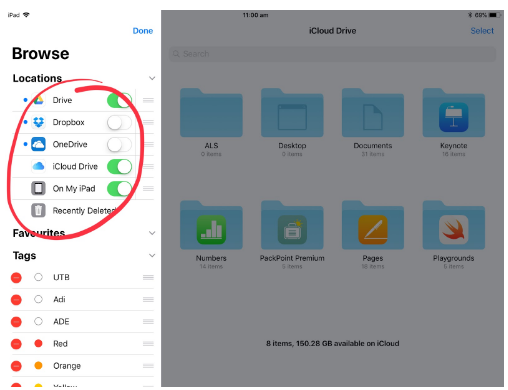 By utilising iCloud, all your notes will sync easily across all your devices. I have narrowed down all the features to a handful that you may want to explore. Here are five great features of Notes. 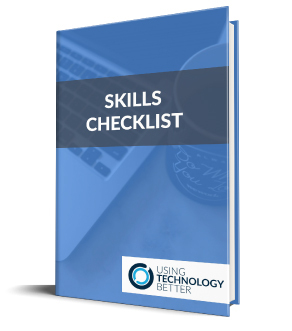 1.Scanning and signing documents. If you have ever been frustrated when you need to send a signed document to someone, then this function is an absolute winner. Tap the + icon and choose ‘Scan Documents’. Position the camera over the document, it will be indicated on the screen when the document is in the correct position. Take the image and it will be converted to a scanned document that will be stored in the current note. Tap on the image and a Scanned Documents screen will open with other options. Select ‘Markup’ and sign the document. You can then create a PDF that you can send to someone via email, AirDrop, messages or via an app. This is a simple, quick process that gives you a signed e-copy of the document for your records. Have a look at this 1 minute video to see how to do this. 2.Previewing notes without opening them. Tapping and holding on a note will bring up a preview window. If it is the one you want, you can tap to open it. 3.Searching for anything. There are two ways to search your notes. You can drag down from the top of the app and find the search bar. Type in what you want and Notes will be searched for every match, this even shows images, video and attachments. This will also search your hand writing as long as it is relatively neat. Another method is to tap and you will see photo’s, sketches, video, scans, websites and documents that you have in your notes. If you want to go to the note that has that attachment, touch and hold the thumbnail, then tap ‘Show in Note’. Check out this at this 1 minute video to see how to do this. 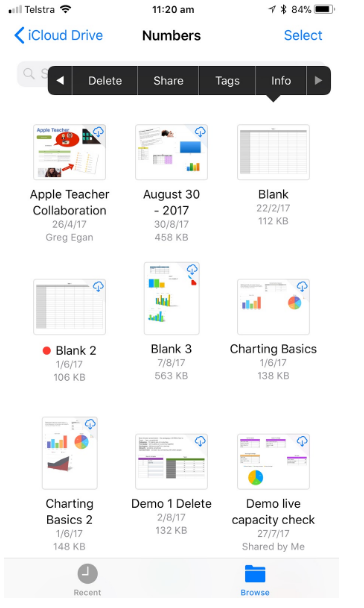 4.Organisation is easier with the ability to utilise the Files function in iOS11. When you first open Notes, you are able to select a note from a folder, or create a new one. This is where you can delete a folder as well. You can also save a note to your Files. This is an easy filing process, but I would like the ability to put a note in multiple folders like I can in G Suite. Have a quick look at this 30 second clip that shows how to do this. 5.Dragging and Dropping. On an iPad in split screen mode, you can have your notes open and a Pages document open and insert your notes. To paste from Notes into Pages, select the note and then cut and past like normal. Hold with your finder and drag and drop to Notes. The whole drag and drop process is really intuitive and adds to the seamless interaction between apps. Watch this 55 second video to see how to do this. 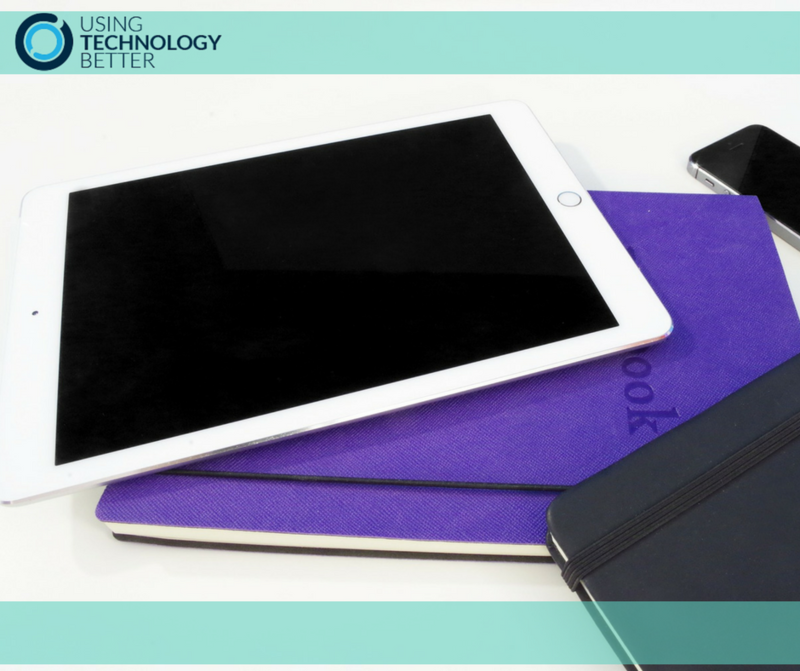 There are many more features in Notes, like inserting a table and embedding a voice recording or video.I have really only skimmed the surface with my favourite five. 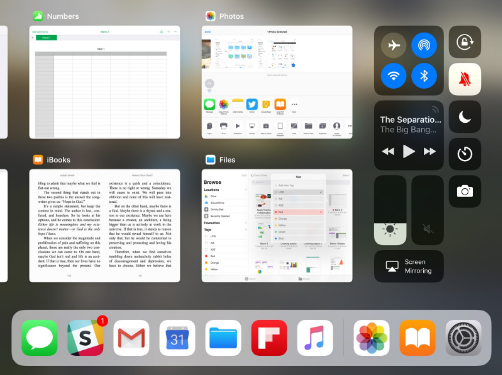 With any update of an operating system, there are always a couple of really nice improvements lurking within. 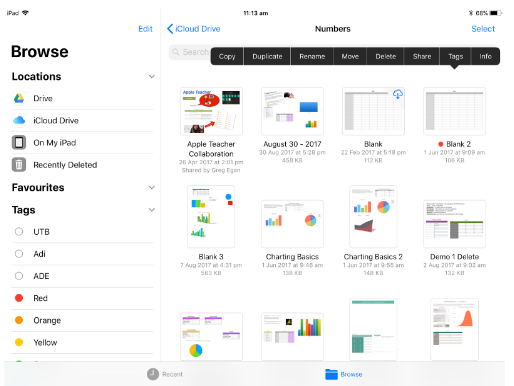 The Files app in iOS11 provides a fantastic file management system on your iPhone and iPad. I find that it works best on an iPad, this may be due to the fact that you have a bit more screen real estate to play around with. 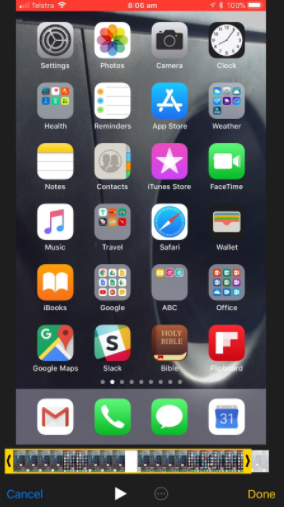 Once you have installed the iOS update, the Files app will appear on one of your screens. Here’s how to use it. Open the Files app and you will see a list of locations. 2. 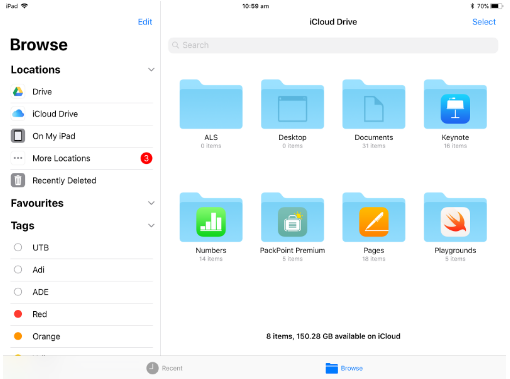 Tap on Edit to add more file locations including DropBox, Google Drive and OneDrive. This makes it very handy to manage and access all your files from one spot. 3. You can open up any folder to access the files. 4. Tap on a file to select it. The image of the file will increase in size.If you want to select more files, just keep holding the file you selected and tap any other file and they will be added to your collection. Then you can move the files to a new folder or location and all the files will move at the same time. This feature also applies to gathering apps and organising them in the same manner. 5. On the iPhone, because the screen is smaller, you tap the file and lift your finger. This reveals an action bar that allows you to copy, move or tag a file. 6. To tag a file, tap on the file and the action bar will allow you to apply multiple tags to a file. This helps you manage and search for files. Another cool improvement on the iPad is when you double tap the home button, you now get a tiled view of the apps that are open. You can then scroll and pick the one you want. This feature is also accessible by swiping up from the bottom of the screen. 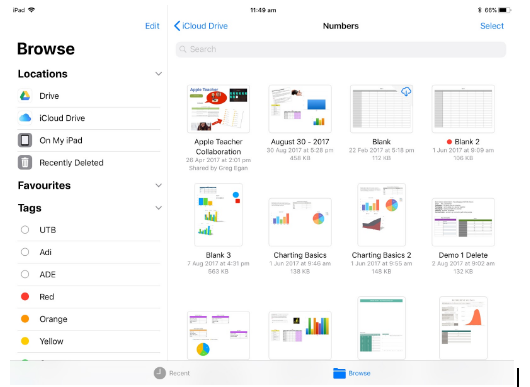 These little improvements enhance the functionality of the iPad for schools. With the new iOS 11 being released this week, I thought it would be good to look at one feature that will be available once you have updated your Apple device. 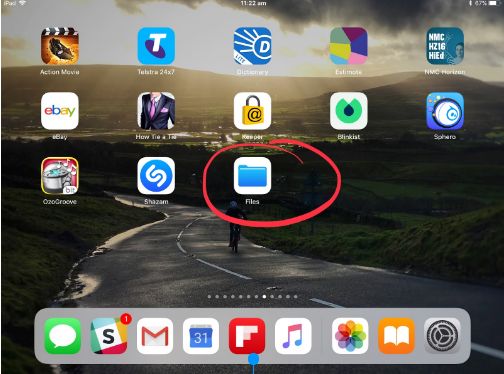 Screen recording from an iOS device was possible before iOS 11, but you had to rely on a third party app or use a couple of sneaky techniques to make it work well. 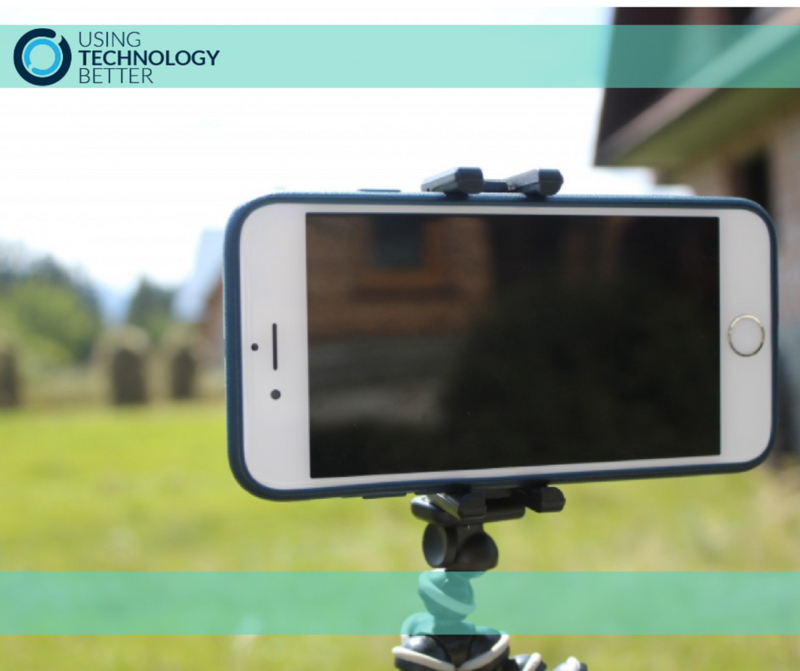 It is now much easier to record your screen, however there are a couple of tricks that you may need to use. Open the Settings. Scroll down to and select the Control Centre. 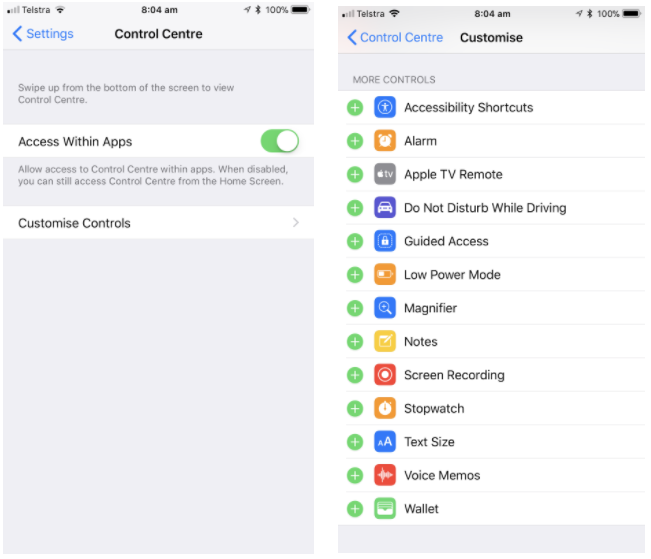 Look down the list until you see Screen Recording and add it (this will allow you to easily access the screen recording function from the Control Centre). 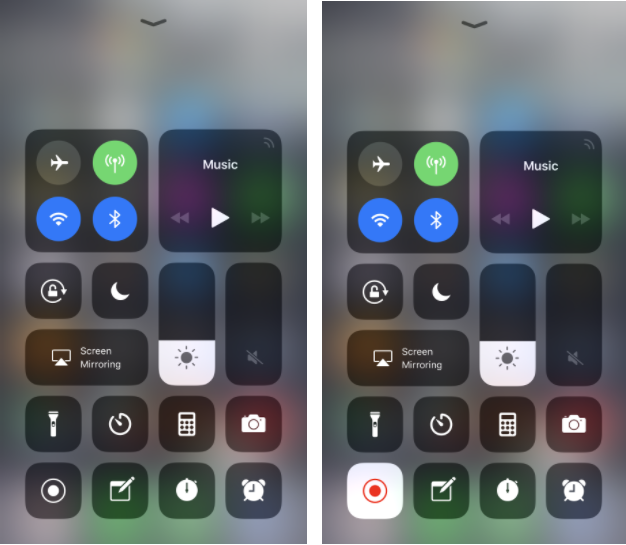 The Control Centre has had a facelift with this iOS update, which I think looks cleaner and easier to use. Swiping up activates the Control Centre and you will see the icon for Screen Recording there. Just tap and away you go. When you activate Screen Recording there is no countdown or warning that it is about to start. It just starts! This means that any activity on the screen is recorded, including closing the Control Centre and stopping of the recording. It is easy enough to edit these out in the Photos App once you have finished the recording. Additionally, push notifications will appear on the recording, so it may be wise to activate Do Not Disturb or Airplane mode when recording. The microphone enables you to add a live voice over, but recording directly from an app will not work. The microphone will record any sound, so as long as your device is un-muted it will record sound being played from an app. You need to turn on the microphone by holding down the record button to access the control panel. I see a good use for this in the classroom when demonstrating to students how to use an app or other function like split screen or multi tasking. 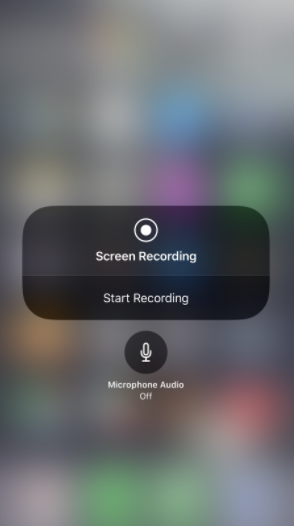 A simple short screen recording can be made, edited and then shared via Airdrop. Students now have a visual reminder about how to use their device better. It could also be used for weekly handy hints for other staff members. There are some other great improvements in iOS 11 and I will be exploring them over the next couple of weeks. Just a reminder to backup your device before you do an update in case something should go belly up in the process!